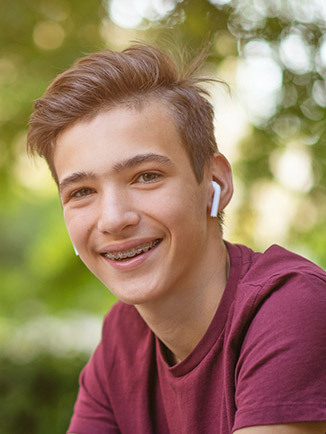 With Damon braces, highly advanced brackets allow teeth to be moved more quickly and with less force…and that means less pain with faster (and better) results! Depending on several factors, including age, treatment method, and how minor or severe your case is, treatment time varies and can last between one and three years. A big factor to a successful treatment is you, the patient! The more involved and diligent you are with the care of your teeth, the quicker and more efficient your treatment will be. For children, receiving interceptive, or early treatment, can also help provide a quicker treatment time later on in life. We also make clear tooth-movement aligners for minor tooth movements. Clear retainers are always included with any tooth movement we do for patients. Please contact our practice to schedule an appointment and learn more about orthodontics and the treatments we provide.